We specialize in working with active and people and people who are looking to become active. We deal with the most common conditions including neck pain, arm pain, headaches, migraines, back pain, pinched nerves, groin pain, sciatica, numbness in the hands or feet, shoulder problems, hip problems, knee problems, ankle problems, foot problems, IT band syndrome, tennis elbow, carpal tunnel syndrome and more! We pride ourselves on our commitment to our patient’s overall health and well being. Our mission is to enhance the lives of people who are active or looking to become active. We achieve this by accessing your bodies optimal potential utilizing a series of Chiropractic adjustments, exercise prescriptions and nutritional modifications. Whether you are a weekend warrior or an elite athlete, you will experience the same level of one on one treatment here at our office. 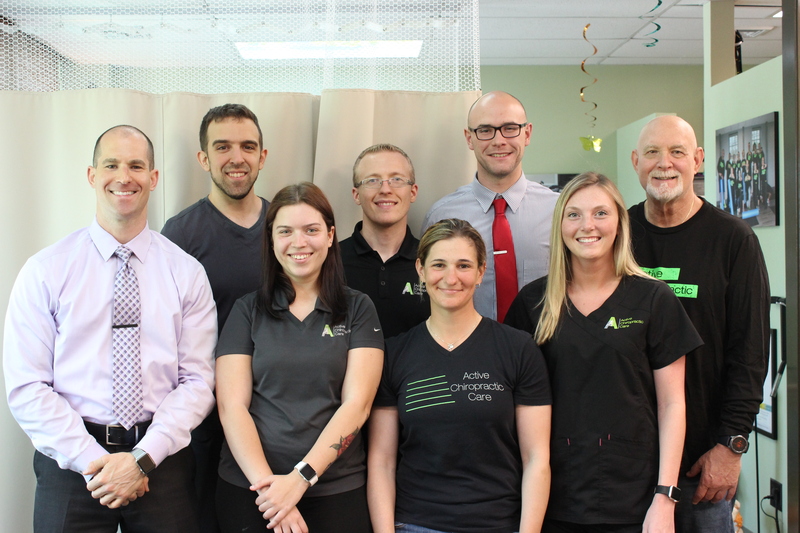 The name Active Chiropractic Care was chosen because it embraces the purpose for our existence. The term “active” also implies the type of treatment which is performed in conjunction to your chiropractic care. This approach is what distinguishes us from other chiropractic offices in the area. All of your treatment and exercises are performed under the doctors direct supervision. This will make sure you are doing them properly and ensure yourself a smooth transition into your new active lifestyle. If you are someone who is looking to take their health to the next level and remain active than please give our office a call today!